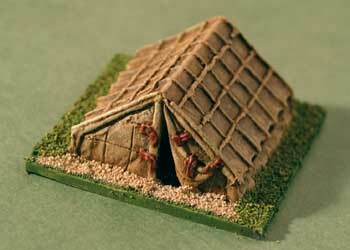 15mm Roman Legionary Tents AVAILABLE NOW! 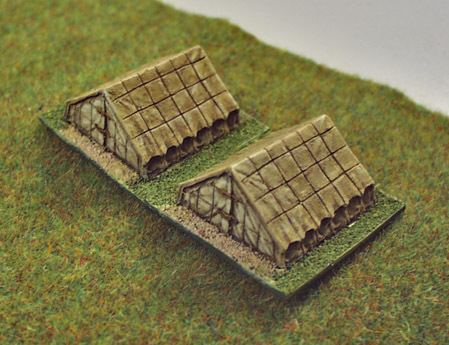 28mm Roman Legionary Tents AVAILABLE NOW! 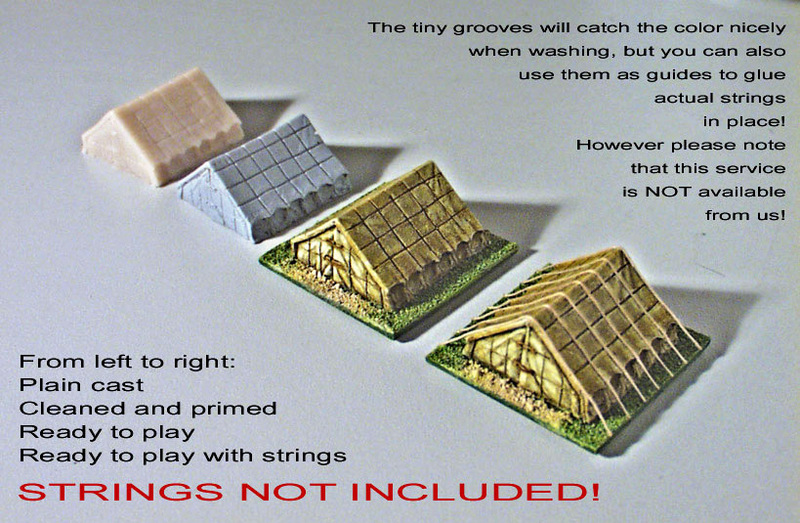 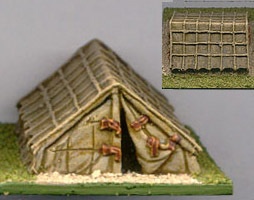 this is the 28mm version of the standard legionary camp tent. 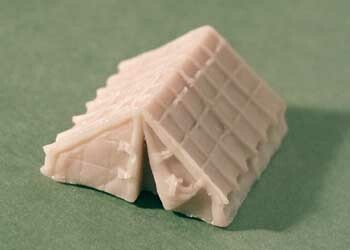 It is based on the latest research and interpretation of historical sources. 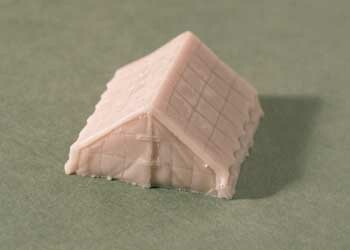 It's accurately sized according to the sources that agree it was 10 by 10 roman feet, and 5 feet tall. 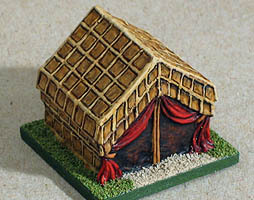 In a legionary camp there would be several hundreds tents like this as well as larger ones for the centurions, and even bigger yet for the general's HQ, each military Tribune and each Prefect. 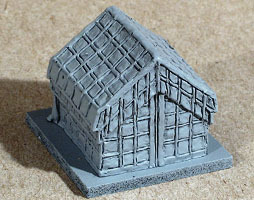 Please be aware that if you base this model on a 60mm frontage baggage base you won't be able to put two side by side. 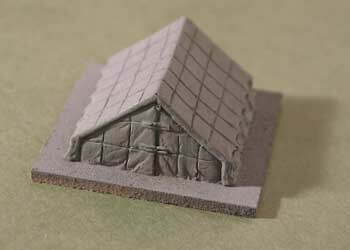 The best way to deal with this is to base them on alternating single 60mm and doublesize 120mm bases, as shown here. 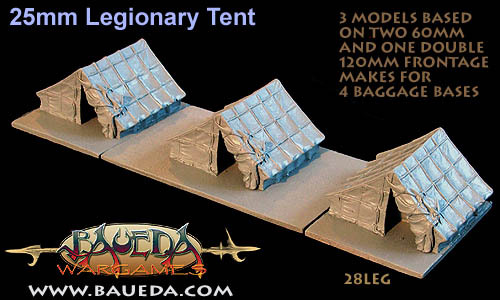 As you can see the actual model does fit on a standard 60mm baggage base, but it is so close to the edge that it would look silly if you put two next to each other... 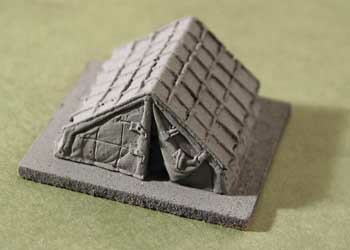 This way the basing will be compatible with the most common rules around. 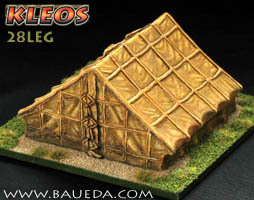 Like all our models this is a historically accurate reproduction with plenty of beautifully sculpted surface detail to help you in painting and it's made of very tough POLYURETHANE. 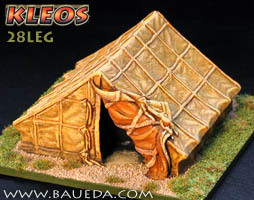 28LEG is available only as plain cast, with a flat sanded bottom but otherwise as it comes out of the mold. 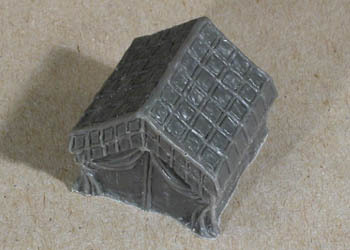 We regret at the moment we are unable to offer this item as a stock finished element, painted and based, however we do accept commission painting on this item, we can paint it to your description and requirements. 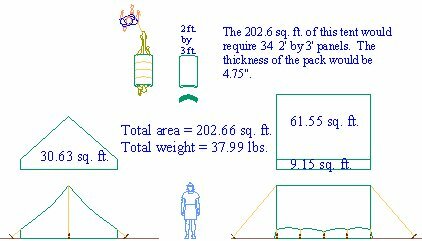 The time required would be approximately six weeks for a 1-8 elements order. 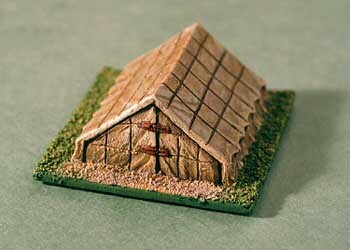 Price starts around EURO€ 28.00 per piece; just contact us for a free quote with no obligation whatsoever!